NOTEBOOK RICONDIZIONATI Ci sono 40 prodotti. NOTEBOOK LENOVO ThinkPad X1 Carbon (3rd Gen) i5-5300U 14" FHD 8GB 240GB SSD WINDOWS 10 PRO RICONDIZIONATO GRADE A GARANZIA 1 ANNO. GLI UNICI AD OFFRIRE ASSISTENZA PICKUP & RETURN, PER QUALSIASI PROBLEMA PENSIAMO NOI A RITIRARE, RIPAPARE E RESTITUIRE IL PRODOTTO SENZA ALCUNA SPESA AGGIUNTIVA! 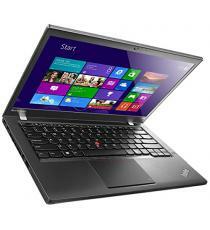 NOTEBOOK LENOVO ThinkPad X1 Carbon i5-4300U 14" HD+ 8GB 128GB SSD WINDOWS 10 PRO RICONDIZIONATO GRADE A GARANZIA 1 ANNO. GLI UNICI AD OFFRIRE ASSISTENZA PICKUP & RETURN, PER QUALSIASI PROBLEMA PENSIAMO NOI A RITIRARE, RIPAPARE E RESTITUIRE IL PRODOTTO SENZA ALCUNA SPESA AGGIUNTIVA! NOTEBOOK LENOVO ThinkPad X1 Carbon (3rd Gen) i7-5600U 14" FHD 8GB 180GB SSD WINDOWS 10 PRO RICONDIZIONATO GRADE A GARANZIA 1 ANNO. GLI UNICI AD OFFRIRE ASSISTENZA PICKUP & RETURN, PER QUALSIASI PROBLEMA PENSIAMO NOI A RITIRARE, RIPAPARE E RESTITUIRE IL PRODOTTO SENZA ALCUNA SPESA AGGIUNTIVA! 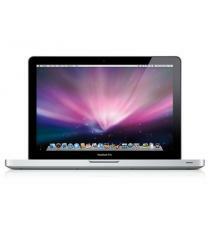 APPLE MACBOOK PRO 13" Core i5 3210M 4GB RAM 500GB DVDRW 2.5GHz HD Graphics 4000 RICONDIZIONATO GRADE A. ANNO META' 2012!BATTERIA GARANTITA! GARANZIA 1 ANNO. GLI UNICI AD OFFRIRE ASSISTENZA PICKUP & RETURN, PER QUALSIASI PROBLEMA PENSIAMO NOI A RITIRARE, RIPAPARE E RESTITUIRE IL PRODOTTO SENZA ALCUNA SPESA AGGIUNTIVA! 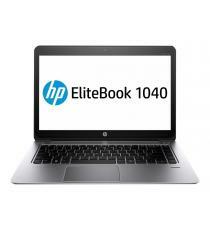 NOTEBOOK WWAN HP EliteBook 1040 G2 i5-5200U 4GB RAM 256GB SSD 14" FHD WINDOWS 10 PRO RICONDIZIONATO GRADE A GARANZIA 1 ANNO. GLI UNICI AD OFFRIRE ASSISTENZA PICKUP & RETURN, PER QUALSIASI PROBLEMA PENSIAMO NOI A RITIRARE, RIPAPARE E RESTITUIRE IL PRODOTTO SENZA ALCUNA SPESA AGGIUNTIVA! NOTEBOOK LENOVO ThinkPad X1 Carbon i5-6300U 14" FHD 8GB 240512GB SSD WINDOWS 10 PRO (4th Gen) RICONDIZIONATO GRADE A GARANZIA 1 ANNO. GLI UNICI AD OFFRIRE ASSISTENZA PICKUP & RETURN, PER QUALSIASI PROBLEMA PENSIAMO NOI A RITIRARE, RIPAPARE E RESTITUIRE IL PRODOTTO SENZA ALCUNA SPESA AGGIUNTIVA! NOTEBOOK FUJITSU LIFEBOOK E752 15,6 " Intel i5 3320M 4GB RAM 320GB HDD RW WWAN RICONDIZIONATO GRADE A WINDOWS 10 PROGARANZIA 1 ANNO.GLI UNICI AD OFFRIRE ASSISTENZA PICKUP & RETURN, PER QUALSIASI PROBLEMA PENSIAMO NOI A RITIRARE, RIPAPARE E RESTITUIRE IL PRODOTTO SENZA ALCUNA SPESA AGGIUNTIVA!N.B. LA SPEDIZIONE SARA' EFFETTUATA ENTRO LE 24H DALL'ORDINE! 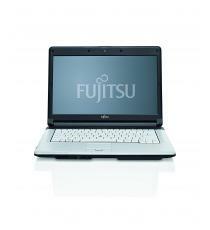 NOTEBOOK FUJITSU LIFEBOOK E752 15,6 " Intel i5 - 3320M 4GB RAM 500GB HD+ DVD RW WWAN RICONDIZIONATO GRADE A CON LICENZA WINDOWS 7 PROGARANZIA 1 ANNO.GLI UNICI AD OFFRIRE ASSISTENZA PICKUP & RETURN, PER QUALSIASI PROBLEMA PENSIAMO NOI A RITIRARE, RIPAPARE E RESTITUIRE IL PRODOTTO SENZA ALCUNA SPESA AGGIUNTIVA! NOTEBOOK HP EliteBook 840 G2 i5-5200U 8GB RAM 320GB 14" HD WINDOWS 10 PRO RICONDIZIONATO GRADE A GARANZIA 1 ANNO. GLI UNICI AD OFFRIRE ASSISTENZA PICKUP & RETURN, PER QUALSIASI PROBLEMA PENSIAMO NOI A RITIRARE, RIPAPARE E RESTITUIRE IL PRODOTTO SENZA ALCUNA SPESA AGGIUNTIVA! 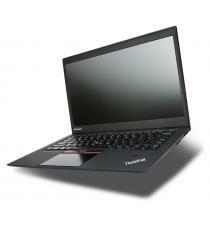 NOTEBOOK LENOVO ThinkPad X1 Carbon i5-3427U 14" HD+ 8GB 128GB SSD WINDOWS 10 PRO RICONDIZIONATO GRADE A GARANZIA 1 ANNO. GLI UNICI AD OFFRIRE ASSISTENZA PICKUP & RETURN, PER QUALSIASI PROBLEMA PENSIAMO NOI A RITIRARE, RIPAPARE E RESTITUIRE IL PRODOTTO SENZA ALCUNA SPESA AGGIUNTIVA! NOTEBOOK LENOVO ThinkPad X1 Carbon WWAN i5-3427U 14" HD+ 8GB 128GB SSD WINDOWS 10 PRO RICONDIZIONATO GRADE A GARANZIA 1 ANNO. GLI UNICI AD OFFRIRE ASSISTENZA PICKUP & RETURN, PER QUALSIASI PROBLEMA PENSIAMO NOI A RITIRARE, RIPAPARE E RESTITUIRE IL PRODOTTO SENZA ALCUNA SPESA AGGIUNTIVA! NOTEBOOK LENOVO ThinkPad X1 Carbon (2nd Gen) i7-4600U 14" HD+ 8GB 256GB SSD WINDOWS 10 PRO RICONDIZIONATO GRADE A GARANZIA 1 ANNO. GLI UNICI AD OFFRIRE ASSISTENZA PICKUP & RETURN, PER QUALSIASI PROBLEMA PENSIAMO NOI A RITIRARE, RIPAPARE E RESTITUIRE IL PRODOTTO SENZA ALCUNA SPESA AGGIUNTIVA! 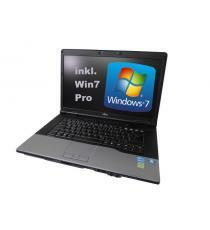 NOTEBOOK LENOVO T440s 3G i7-4600U/8GB/180GB-SSD/14" HD+ WLAN/BT/CAM/FPR LICENZA WINDOWS 7 PRO RICONDIZIONATOGARANZIA 1 ANNO.GLI UNICI AD OFFRIRE ASSISTENZA PICKUP & RETURN, PER QUALSIASI PROBLEMA PENSIAMO NOI A RITIRARE, RIPAPARE E RESTITUIRE IL PRODOTTO SENZA ALCUNA SPESA AGGIUNTIVA!N.B. LA SPEDIZIONE SARA' EFFETTUATA ENTRO LE 24H DALL'ORDINE! 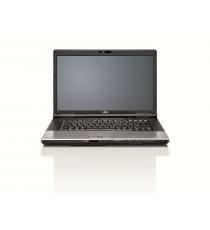 NOTEBOOK FUJITSU LIFEBOOK E752 15,6 " Intel i5 3210M 4GB RAM 320GB HDD DVD RW WWAN RICONDIZIONATO GRADE A WINDOWS 7 PROGARANZIA 1 ANNO.GLI UNICI AD OFFRIRE ASSISTENZA PICKUP & RETURN, PER QUALSIASI PROBLEMA PENSIAMO NOI A RITIRARE, RIPAPARE E RESTITUIRE IL PRODOTTO SENZA ALCUNA SPESA AGGIUNTIVA!N.B. LA SPEDIZIONE SARA' EFFETTUATA ENTRO LE 24H DALL'ORDINE! 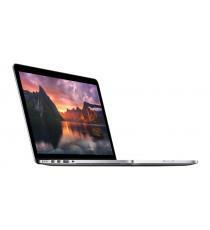 APPLE MACBOOK PRO 13" 12M i5-3210M 4GB RAM HD 500GB DVDRW/10.10 DC i5 2.5GHz/Graphics 4000/US Keyboard RICONDIZIANATO GRADE AGARANZIA 1 ANNO.GLI UNICI AD OFFRIRE ASSISTENZA PICKUP & RETURN, PER QUALSIASI PROBLEMA PENSIAMO NOI A RITIRARE, RIPAPARE E RESTITUIRE IL PRODOTTO SENZA ALCUNA SPESA AGGIUNTIVA! 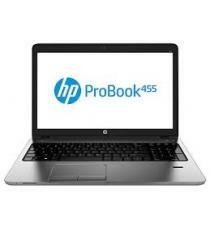 NOTEBOOK HP PROBOOK 455 G1 DC A4-4300M 15.6"HD RAM 4GB HDD 500GB DVDRW WINDOWS 10 PRO RICONDIZIONATO GRADE AGARANZIA 1 ANNO.GLI UNICI AD OFFRIRE ASSISTENZA PICK & RETURN, PER QUALSIASI PROBLEMA PENSIAMO NOI A RITIRARE, RIPAPARE E RESTITUIRE IL PRODOTTO SENZA ALCUNA SPESA AGGIUNTIVA! NOTEBOOK FUJITSU LIFEBOOK S710 i5 520M 14" HD 4GB RAM 160GB DVDRW CON WINDOWS 10 PROFESSIONAL RICONDIZIONATO GRADE AGARANZIA 1 ANNO.ATTENZIONE MERCE IN ARRIVO: SPEDIZIONE A PARTIRE DAL 26/04/2018!! !GLI UNICI AD OFFRIRE ASSISTENZA PICKUP & RETURN, PER QUALSIASI PROBLEMA PENSIAMO NOI A RITIRARE, RIPAPARE E RESTITUIRE IL PRODOTTO SENZA ALCUNA SPESA AGGIUNTIVA! NOTEBOOK HP ELITEBOOK 820 G1 i5-4210U 12.5" HD 4GB RAM 500GB RENEW HP (PARI AL NUOVO) WINDOWS 7 PRO - INLCUSA LICENZA ORIGINALE WINDOWS 8 -GLI UNICI AD OFFRIRE ASSISTENZA PICK & RETURN, PER QUALSIASI PROBLEMA PENSIAMO NOI A RITIRARE, RIPAPARE E RESTITUIRE IL PRODOTTO SENZA ALCUNA SPESA AGGIUNTIVA! 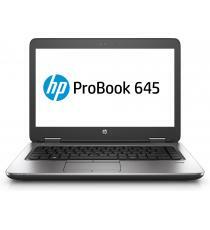 NOTEBOOK HP ProBook 645 G3 QC A10-8730B 14" FHD 8GB1 RAM 256GB SSD DVDRW EX-DEMO(NUOVO) WINDOWS 10 PROFESSIONALGLI UNICI AD OFFRIRE ASSISTENZA PICK & RETURN, PER QUALSIASI PROBLEMA PENSIAMO NOI A RITIRARE, RIPAPARE E RESTITUIRE IL PRODOTTO SENZA ALCUNA SPESA AGGIUNTIVA! 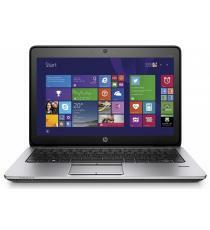 NOTEBOOK HP ProBook 645 G3 QC A10-8730B 14" FHD 4GB1 RAM 500GB HDD DVDRW EX-DEMO(NUOVO) WINDOWS 10 PROFESSIONALGLI UNICI AD OFFRIRE ASSISTENZA PICK & RETURN, PER QUALSIASI PROBLEMA PENSIAMO NOI A RITIRARE, RIPAPARE E RESTITUIRE IL PRODOTTO SENZA ALCUNA SPESA AGGIUNTIVA!